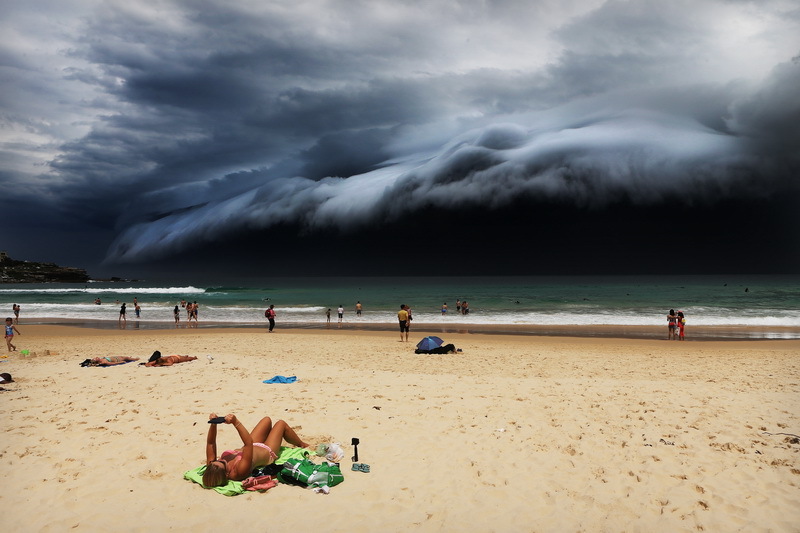 A massive "cloud tsunami" looms over Sydney in a spectacular weather event seen only a few times a year. The enormous shelf cloud rolled in from the sea, turning the sky almost black and bringing violent thunderstorms in its wake. A sunbather uses her phone, oblivious to the impending doom.